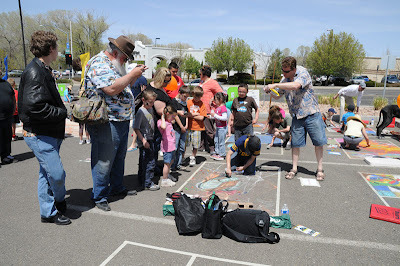 The website for Prescott Chalk it Up 2010 is now up and running. 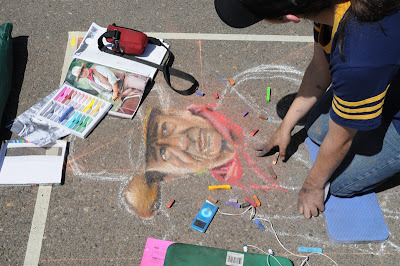 Check it out... there are lots of photos and a lot of good chalk art. The local fire department took some overhead shots in Album 7, too. And, again, congratulations to our daughter, Lindsay, on winning the People's Choice award! Pronounced PRES-skit. Make sure you don't say PRES-skot in town... you will be laughed all the way back to Phoenix. 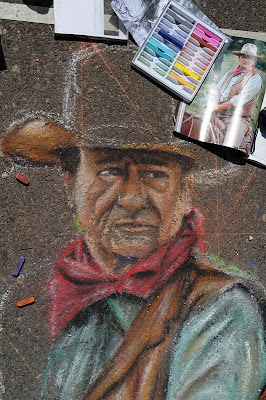 Anyway, while my daughter was painting her John Wayne portrait at the Prescott Chalk it Up festival last weekend, I took an hour each day to just wander around town with my wife and grab some breakfast. During these walks I found a few things to photograph. I had the Nikon D300 with me during breakfast. 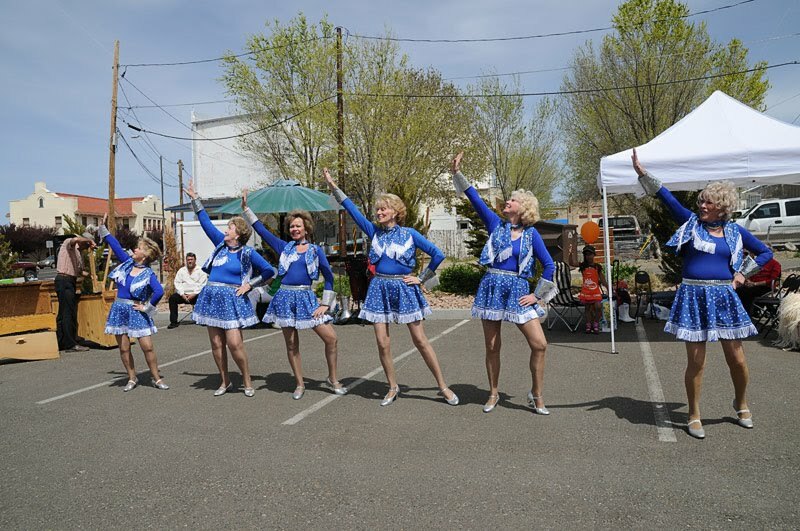 They also had great entertainment, including these young ladies. I also brought the 4x5" and 8x10" view cameras with me, just in case. Good thing, because there were two images I couldn't pass up. I took both of these with the 4x5" on Velvia 100. 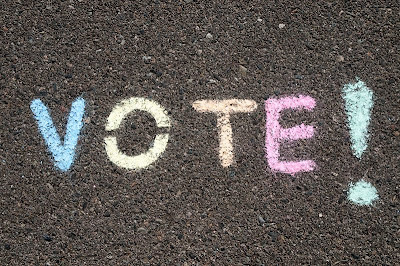 And, last but not least, don't forget to VOTE... For Lindsay by tomorrow, and in November... and remember, "VOTE THEM ALL OUT!" 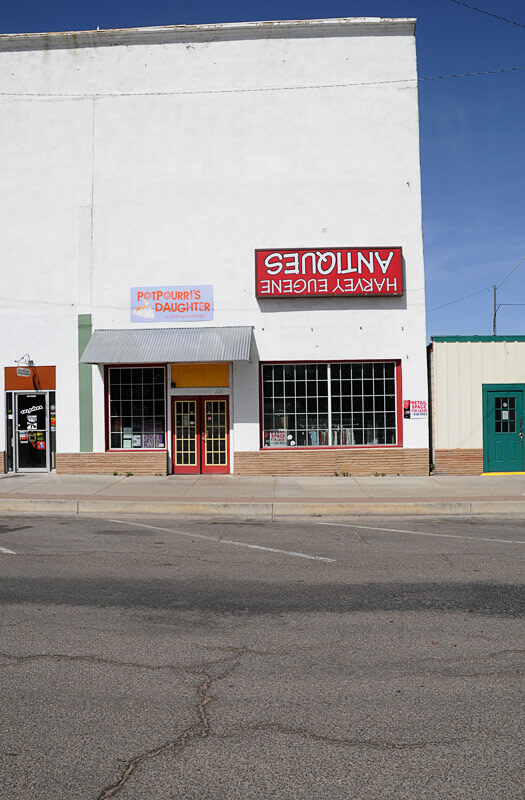 My friend, Juan Garcia, is very interested in "public art"... not the kind that is funded my cities and states, but the kind that is sometimes legal, sometimes sponsored, and sometimes good. Graffiti, in other words. 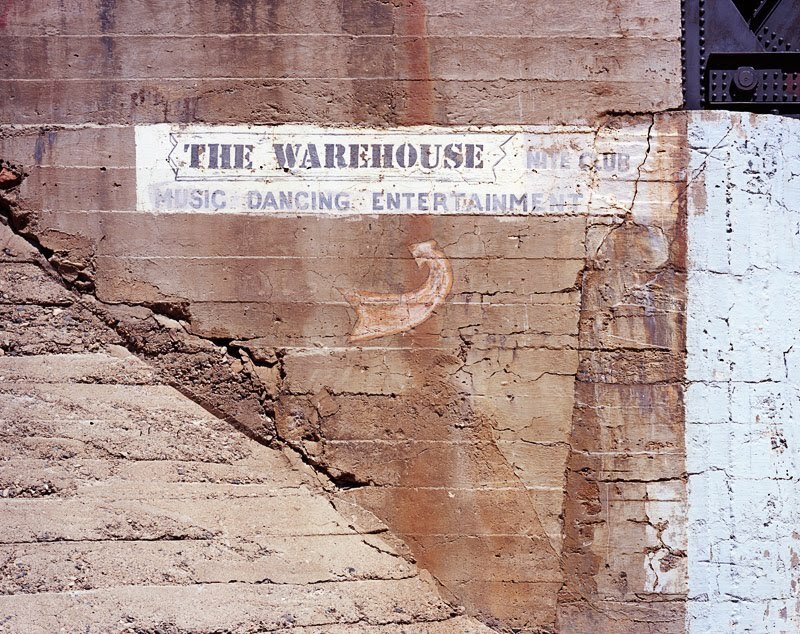 He has amassed quite a body of work on this genre and is working on a photo book. 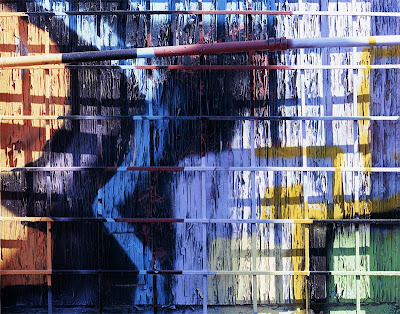 About a month ago Juan invited me out on a Sunday morning to show me some of the places he has photographed this public art in Phoenix. Our friend Tiffany Pacileo came along as well. 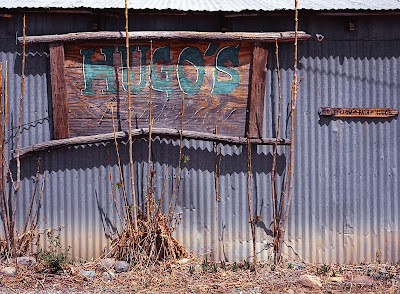 He has also photographed in Tucson and Los Angeles. One place in particular he took me to was behind the Barrio Cafe on 16th Street in Phoenix. This is a fine-dining Mexican restaurant, who's chef, Silvana Salcido Esparza, has been nominated for a James Beard Award this year. 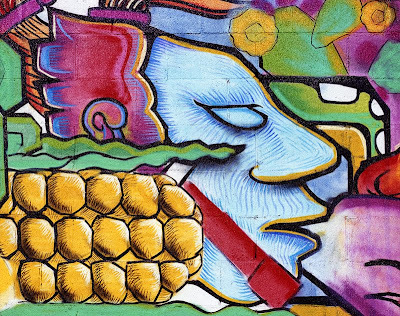 One of the neat features of this place is that the owner of the restaurant has commissioned a local artist, El Moisés, to paint a mural on the block wall that lines the driveway and parking lot behind the restaurant. This mural was written up in the Arizona Republic in December, 2009. There are many distinct sections to the mural and it incorporates Aztec, Chicano, Pop Art, and Religious elements. 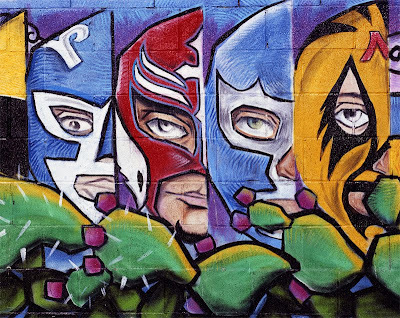 One particular element that caught my attention was the Lucha libre (free wrestling) masks. These are masks worn by "professional" wrestlers of Latino descent. I remember watching them as a kid, when pro wrestling was good. Remember Bruno Sammartino, George the Animal Steele, and the Iron Sheik? Those were the good ol' days. These look almost like those Power Ranger cartoon guys. Anyway, we checked out a few more places, and I came across this. It is an old window or something, that has been boarded up, and had bars put up over it. Then it was colorfully painted. 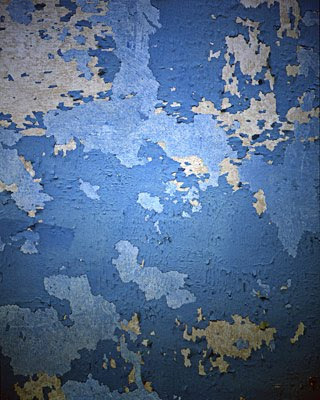 The colors, textures and geometry were very interesting all together. After we called it a morning I headed to a place that I had found a week earlier, on Seventh Street just south of Roosevelt, a few blocks north of Chase Field. 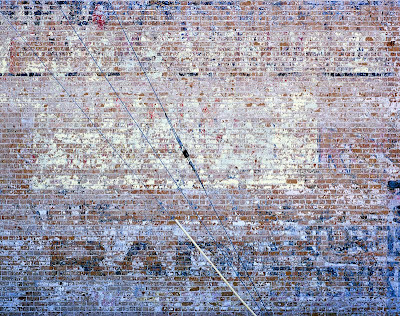 It is an old ad on the side of a building that houses Avant-Garde William & Co. It kind of reminds me of the Babbitt's Ad that I photographed in Flagstaff back in 2008, only this time black & white just didn't work for me. Actually, I want to photograph the Babbitt's ad in color as well. All of these images were shot with 4x5 Velvia transparency film. Remember, you have until Sunday to vote for Lindsay's John Wayne chalk painting at Prescott eNews. Vote and vote often! Vote for Lindsay! The local Prescott newspaper is having an online reader vote. Lindsay can win a cash prize. Thanks for your support! 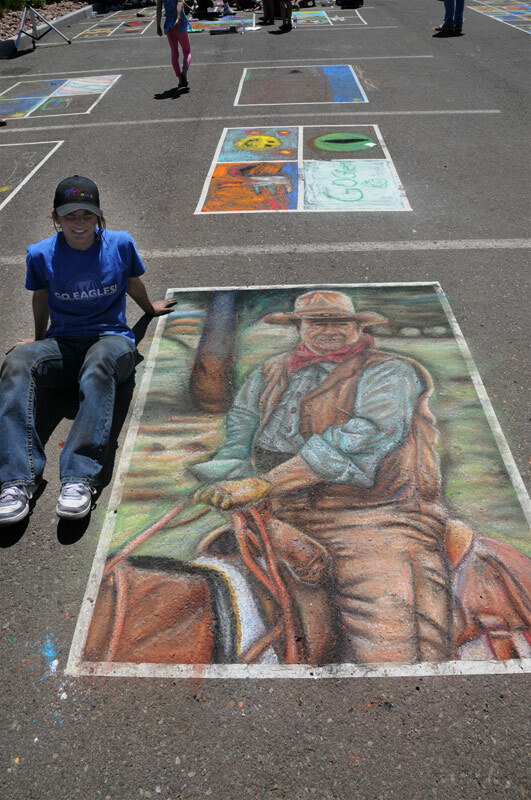 This weekend we went up to Prescott, AZ, so our daughter, Lindsay, could participate in the 2-day Prescott "Chalk it Up" festival. This is a street art festival where anyone could reserve a space in a parking lot and do a chalk painting. Sizes varied from 2x2 feet to 10x10 feet. Lindsay decided to take a 4x6 foot space. Originally her art club was supposed to attend and participate, but schedule conflicts canceled the trip. Lindsay decided she wanted to participate on her own. She had previously participated in the Via Colori national events (Scottsdale, 2009, and Glendale, 2010) and really enjoyed them. This is difficult and back-breaking work, too. So, she had to pick a subject. 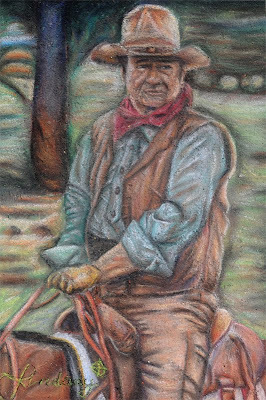 She loves all things cowboy so she picked the most famous cowboy of all... John Wayne. She did all the prep work finding a photograph, overlaying a grid over it, and getting all her supplies together. We were very impressed. Seems a lot of other people were, too. Most could not believe she is only a sophomore in high school. One couple have even asked Lindsay to do a commission for their home... they are BIG John Wayne fans! The weather was beautiful, in the 70s and sunny... a little too sunny it seems, as we all got a good pre-tan working. We went up on Saturday assuming that Lindsay could finish in one day. Well, she took her time (in a good way) and really worked the details. So we decided to leave around 3:00 PM on Saturday, get something to eat before the 1.5 hour drive home, get a good night sleep and make a strong finish on Sunday. She had the portrait done the first day and just had to fill in the background and fine-tune on Sunday. 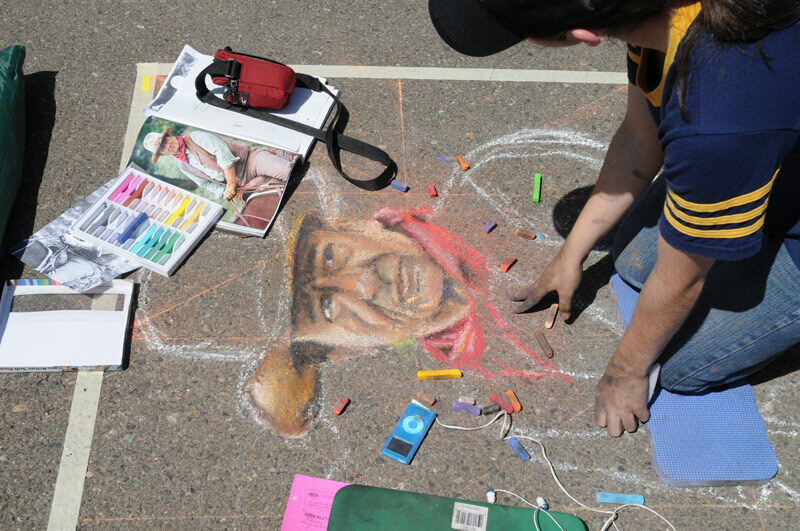 There were between 100 and 200 participants this year, including some professional chalk artists from California and Colorado. Originally there were supposed to be a "Best in Show" and a "People's Choice" award, as well as several awards for the 12 and under artists. Due to budget restraints there was only a People's Choice award this year as we just found out... and the people chose Lindsay! We are so proud of her! Congratulations, Linds! A note to any parents out there. With all the school budget cuts, especially in the arts and music, please have your children participate in these (mostly) free events. They also had entertainment featuring local students and residents, including a steel drum band, a children's marimba band, a senior dance group, a local high school freshman fiddler, belly dancers and hoop dancers. We found out that the marimba conductor, a school music teacher, had just been laid off. I hope that these casualties of the economy will see the need for extra-curricular classes and start businesses of their own. We have to offer them our support to keep the arts alive. 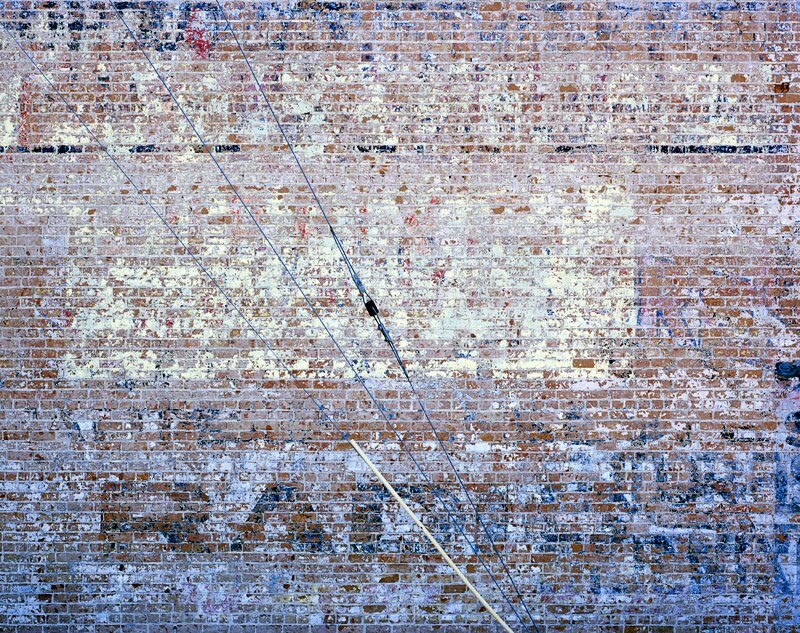 I am very proud to offer a special edition print, Blue, Ellis Island, NY, 1984 in an effort to help raise funds to continue the wonderful work at Save Ellis Island. As you may have heard, they have run out of funds and need to raise $500,000 by the end of April, 2010, or... the project will be no more. I had to privilege of working with the National Park Service and Montclair State College during the summer of 1984 in the Ellis Island Photo Documentation/Interpretation Project II. During this project we assisted the NPS in documenting the island before renovations had begun. In return we were free to artistically interpret what we saw. This image is part of my experience at Ellis Island. 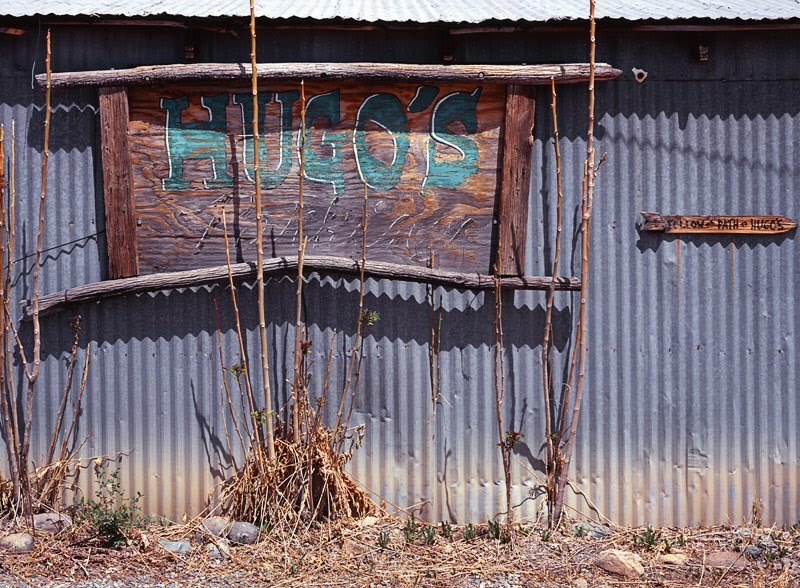 Working primarily in black and white with a 4x5” camera, this is the only color image I made during the project. This image is available in two versions: as a 4x5” image on 8x10” paper and as an 8x10 image on 11x14” paper. Prints are on Fuji Crystal Archive, the most stable true photographic color paper available today. The 4x5” version is priced at $50 and the 8x10” version is priced at $100. Shipping is $12.50. To purchase, please visit www.rcodaphotography.com/emails/ellis. For more information, please call or email. Half of all sales of this image will be donated to the Save Ellis Island fundraising effort.